For your next camping trip, make sure to bring a good lantern. What are the main features you should consider? First, is its power and brightness modes. You’d probably want it for more than one mode since you’ll need it for more than one purpose. Then there’s portability and construction. You need a lantern that’s easy to carry, set up and hang. More features include battery life, durability, and weight. In order to help you choose, we made a list of the best camping lanterns to get so go ahead and check it out. When you’re inside the tent at night and want to reach for something or read a book and play cards with friends, this lantern is a great option. 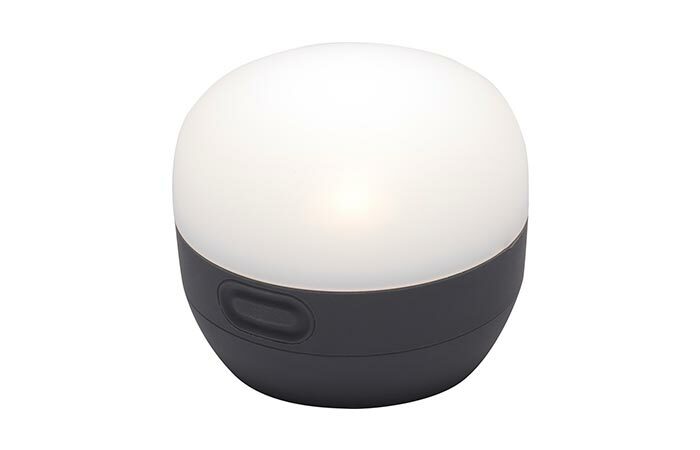 It has a simple design and inside you’ll find a frosted globe with a triple powered LED light. The 100 lumen light is adjustable and you can set it according to your needs for brightness. This camping lantern runs on three AAA batteries. Also, a nice feature is its ability to be collapsed, thus increasing room in your backpack. Finally, the double-hook loop allows you to hang it on a tree or inside a tent. You can use just the half of the lantern when you want to save power. Goal Zero has some pretty cool lanterns and this one is their brightest. As for the light itself, the lantern uses 360 degrees of LED lights that can be adjusted with different settings and dimmed if necessary. One more option is to save power by using only half of the lantern. Besides the great brightness options, Lighthouse 400 has one more feature that separates it from the rest- it can be used for charging other electronic devices with a standard USB port. The 4,400 mAh lithium battery can be also charged with 1 minute of hand-cranking (this way you get 10 minutes of light on low setting). Another practical detail is the collapsible stand that makes the lantern taller. There’s also a handle on the top for easy carrying and hanging it. Has a powerful magnetic base. Packed with 30 low-powered 360° LED bulbs, Etekcity LED Camping Lantern provides you with both super bright and low light settings. You can choose between 4 modes, whether you need it for reading, grabbing an item of continuous use. Switching modes is super easy, just press the button on the lantern. Thanks to its magnetic base, the lantern can be fixed to a car, metal frames or tool boxes. Another useful feature is the fact it comes with a fire starter, making it suitable for outdoor activities. 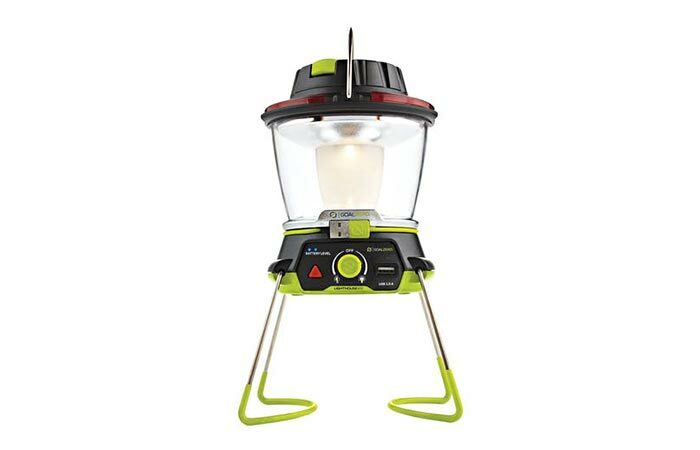 As for the construction, this lantern uses military grade, water resistant and collapsible materials. The battery can support 12 hours of continuous use and the handles can be folded away, making room in your backpack. It’s water-resistant and has 4 light modes. With up to 1000 lumens, this is an upgraded model from Lighting EVER. The stripe panel housing means the light is evenly distributed and inside of it, you’ll find powerful 360 degree LEDs. 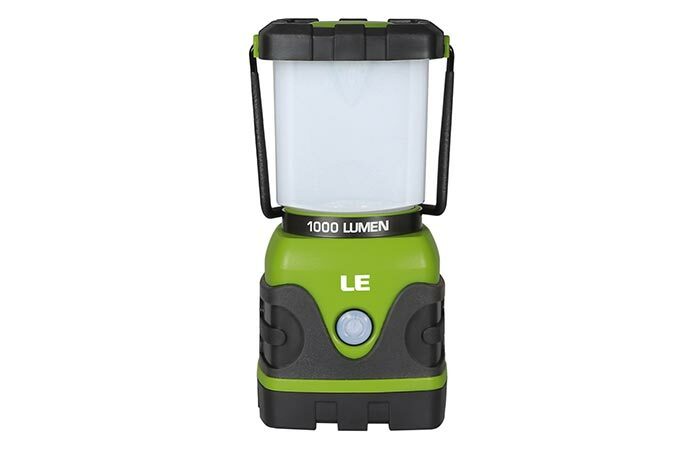 This camping lantern has 4 modes, each with a different lumen capacity- there’s a 700lm day white, 300lm warm white, 1000lm day white and 1000lm flash mode. Let us talk more about its construction. It is water-resistant, has both a metal handle on the top and a hook at the bottom, giving you the ability to hang it two ways. As for the power, it uses 3 D batteries and once you put them inside, the green indicator light will help you find the lantern in the dark. Comes with a red LED SOS mode. 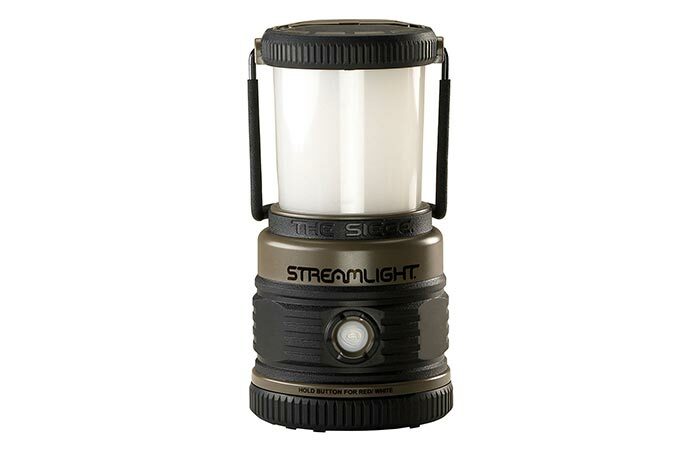 This compact and portable lantern is perfect for illuminating large areas. It is packed with two LED lights- a white and a red one. There are three modes you can choose from- high (340 lumens), medium (175 lumens) and low (33 lumens). The red one is used as an SOS flashing mode. 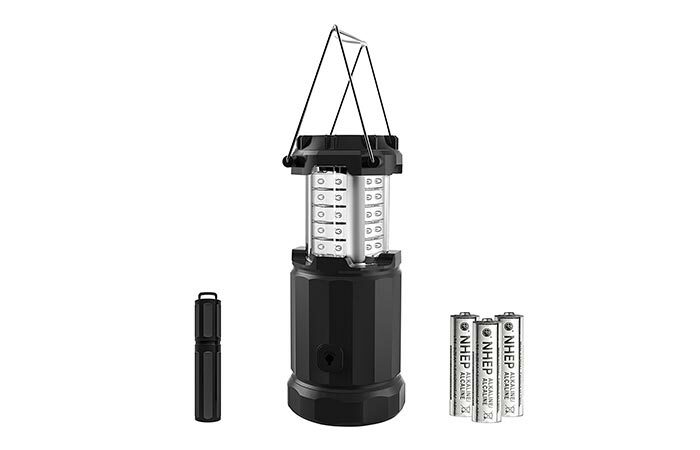 Three D-Cell alkaline batteries make the lantern work for 7 hours in high mode and 37 hours in mode. In cases of emergency, the SOS mode can last for up to 12 days. As for the materials, the lantern features a polycarbonate glare-reducing cover and a rubber molded base. This combination means it’s very durable and the base is there to offer stability on uneven surfaces. The lantern is great for night fishing as well since it’s waterproof to 1m and it floats so in case you drop it in the water you can quickly retrieve it with no damages. This also applies to its ability to stay impact resistance from 2m. Finally, the green, yellow and red light shows you the levels of battery so you know when to replace it.